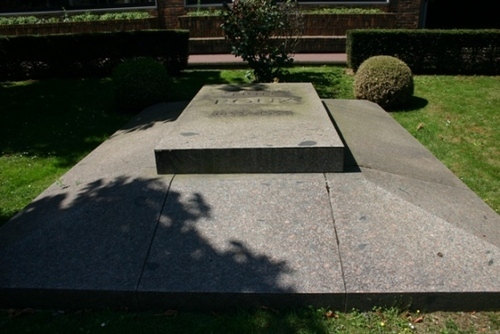 The big but very simple tomb of Émile Roux can be seen in the garden of the Institut Pasteur in Paris. 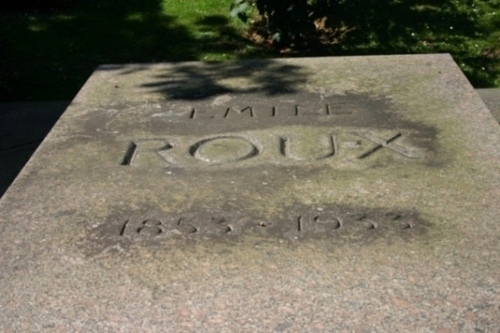 From 1916 to 1933, the year of his death, Roux lived in a small apartment inside the Institute of which he had been a co-founder. and wanted to be buried - as his master, Louis Pasteur - in the premises of the the same Institute.